Goal-focused reading practice takes center stage at Whitney Houston Academy. Students at Whitney Houston Academy in East Orange, New Jersey, are reading like never before, comprehending what they are reading, and meeting personalized goals to grow as readers. Goal-focused practice has given students new enthusiasm for reading. 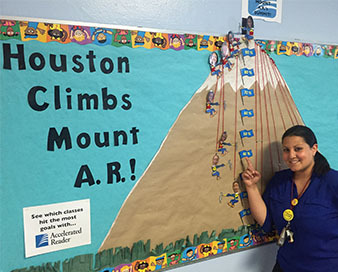 A bulletin board in the hallway depicts a mountain with tiny climbers who bear the smiling faces of homeroom teachers. As students reach their Accelerated Reader goals, their homeroom teachers “climb” the summit of Mount Accelerated Reader. “It’s a friendly competition that motivates students to achieve their goals and get their teachers to the top,” said Literacy Coach Dana Sprague. Houston Academy, the only pre-k through 8 school in the district, encourages a family-like atmosphere while teaching children that knowledge and good character are key to success. Performing arts is a main feature for middle school students. After grade 5, students audition in the areas of visual arts, vocal music, instrumental music, dance, technology, or theater arts to remain in the school for grades 6-8. The school began using Accelerated Reader two years ago after researching reading practice programs at other schools. Along with hearing from other educators, Sprague learned about the effectiveness of Accelerated Reader in much the same way it grew to become the most widely used reading program beginning 30 years ago. “My niece was reading a book and I asked if she was reading for a book report,” recalled Sprague. Her niece replied, “No, we are using Accelerated Reader. We have a goal.” Soon after, the story of Accelerated Reader at Houston Academy began, and goal-focused reading practice now takes center stage. As a literacy coach, Sprague works with small groups to implement curriculum, instructional, and intervention strategies. Students read 20 to 30 minutes each day as part of their independent reading practice. She knows students who have goals read more than students who do not have goals, and students are reading like never before. The school rolled out Accelerated Reader in segments. In the first marking period, 23 students hit their personalized goals. By the second marking period, 87 students reached their goals. Sprague noted that teachers are seeing the highest growth among students in second grade, noting this supports efforts to get students reading on standard by third grade. The school rolled out Accelerated Reader in segments. 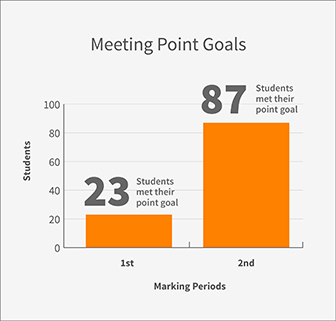 In the first marking period, 23 students hit their point goals. By the second marking period, 87 students reached their goals. Houston Academy brought Accelerated Reader to the school a year after the district began using STAR assessments. As part of the effort to assure students are reading by grade 3, kindergarten students take STAR Early Literacy assessments. Students who score as probable readers move to STAR Reading. As literacy coach, Sprague presents professional development topics to staff, school-wide and district-wide, on a weekly and monthly basis. Most topics revolve around understanding new literacy strategies, navigating through digital literacy programs, or data analysis on all programs related to reading progress. “Teachers love how data is instantaneous,” Sprague said, adding that they use STAR growth reports to differentiate instruction for individuals or groups, and to measure Student Growth Objectives. Teachers set goals of growth for tiered groups of students and check progress with fall and spring STAR assessments. “STAR reports are essential in assisting staff with understanding the strengths and weaknesses of each student and how they measure up to mastering our state standards,” Sprague said. Scaled scores and screening results determine reading groups for daily small group instruction and remedial programs. Sprague was as an elementary teacher for eight years and peers named her “Teacher of the Year” during the 2010-2011 school year. She took on her current role as Elementary Literacy Coach in the 2014-2015 school year, thrilled at the opportunity to work with colleagues in this capacity. 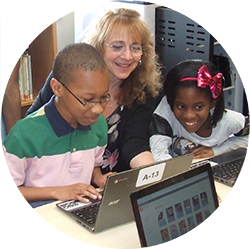 She receives training on literacy, data collection, and digital learning programs the district provides. In the first year implementing Accelerated Reader throughout all grade levels (2-8), Sprague worked with teachers to create a consistent design of program use. Each marking period, teachers collaborate and use assessment data and notes from small-group instruction to set students’ goals. After quarter goals are set, teachers meet with students in small group instruction and discuss their marking period goals. Teachers then monitor Accelerated Reader quizzes and student engagement. Some classes have a sign-up sheet. The teachers meet with students to ask probing questions about the book to determine whether they are prepared for the quiz. Other classrooms utilize “Who, What, Where, When” question cards. In order to empower students to own their challenges and commit to achieving their goals, motivation for goal setting is set upon individual and class incentive programs. Accelerated Reader makes it easy for teachers to set personalized, realistic, and attainable goals based on students’ reading levels, enabling them to share in celebrations. Students at Whitney Houston Academy meet personalized goals and climb “Mount AR” as they grow as readers. 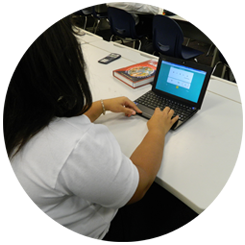 Accelerated Reader has evolved over the years, all while continuing to deliver the goal-focused reading and motivation educators have counted on for decades. Educators set personalized goals to advance each student’s reading quality, quantity, and complexity. Like thousands of schools, Houston Academy is beginning to incorporate Accelerated Reader 360’s nonfiction articles and built-in skills practice into instruction. The next step will be to use the K-3 read-aloud articles and model close reading of nonfiction articles. Read more success stories in the Extraordinary Educators Newsletter. Are you seeing great results with Renaissance products in your classroom, school, or district? We'd love to hear about it. The next Renaissance success story you read about may be your own! Ever since Erica Hogan got a glimpse of students working at their own pace through Accelerated Math as a student teacher years ago, she had longed to use the program in her own third-grade classroom. She got her chance last fall when her school, Bartley Elementary in Fulton, Missouri—already a user of Accelerated Reader and STAR Reading—implemented AM and STAR Math to provide individualized math practice and concept reinforcement. Hogan took that opportunity and ran with it, says Bartley Principal Connie Epperson. Intent on overcoming disappointment in her grade level’s math achievement on the Missouri Assessment Program (MAP) in 2013, Hogan challenged herself to make a difference in the level of instruction she provided, using AM to identify areas of struggle and offer small-group instruction to build their understanding. “Through this process, Miss Hogan was able to successfully intervene for students in need of additional support and provide enrichment to those who had mastered the necessary grade-level skills,” Epperson said. 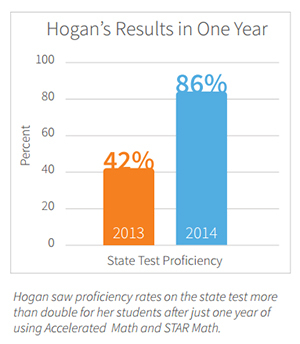 In 2014, 86 percent of Hogan’s students scored proficient or advanced on the MAP test, compared to just 42 percent the year before. At a third-grade level, 78 percent were proficient or advanced, fifty percentile points higher than the previous year. Hogan’s experiences with AM inspired her active research data analysis for her recent educational specialist degree in curriculum leadership. She explored the correlation between average engaged minutes with Accelerated Math per week by class and class average percentile ranks as measured by the STAR Math assessment. As a professional learning community (PLC) that relies heavily on data to drive instruction, Bartley also looks to STAR Reading and STAR Math to help gauge students’ proficiency levels and form intervention groups. In biweekly grade-level data team meetings they identify specific standards needing extra lessons. Epperson said the varied and extensive reports through STAR are a bonus, as they allow for a quick glance at student performance as well as deeper interpretation of student results. The PLC culture includes monthly professional development days, where Hogan presented her research findings on AM and tips based on her success to a school that is still quite new to the program. One of those tips was to pair up classes, which Hogan did with kindergarten teachers last year. There was an initial concern that their young students wouldn’t be able to use computers for AM. But Hogan is also happy to be an ever-available resource. She helps her colleagues understand and find the most valuable reports and brainstorm ideas, such as how to rotate students so everyone gets more time with AM. This is especially important for classes that don’t yet have the 1:1 technology available in grades three through five—something that Hogan feels has been critical to her students’ success. She also recommends teachers keep a computer on hand during small-group AM work in order to simultaneously move other students in the room forward with new assignments and objectives. Brainstorming and collaboration are central to Bartley’s mission of “We are one,” and Hogan said this strong team culture has really taken root to drive the school’s success. As a big proponent of interventions, Principal Michelle Kanipes of Luther L. Wright Middle School – High School in Ironwood, Michigan, doesnt like to see special personnel and programs for those interventions stop after elementary school. This was particularly important to L.L. Wright, labeled as a Focus School by the state for being among those with the largest achievement gap between its top 30 percent of students and its bottom 30 percent, based on average scaled score on the state test. Interestingly, Norrie Elementary, which feeds into L. L. Wright, had shed its own former Focus School designation and jumped to the 72nd percentile in 2012–13, up from the 23rd percentile in the previous year. Kanipes and her team were very interested in trying what was working for Norrie, which included using Accelerated Math, Accelerated Reader, STAR Math, and STAR Reading. Prior to this implementation, L.L. Wright did not have a unified way to look at data systematically, relying mainly on state test scores and a combination of formative, interim, and summative assessments. 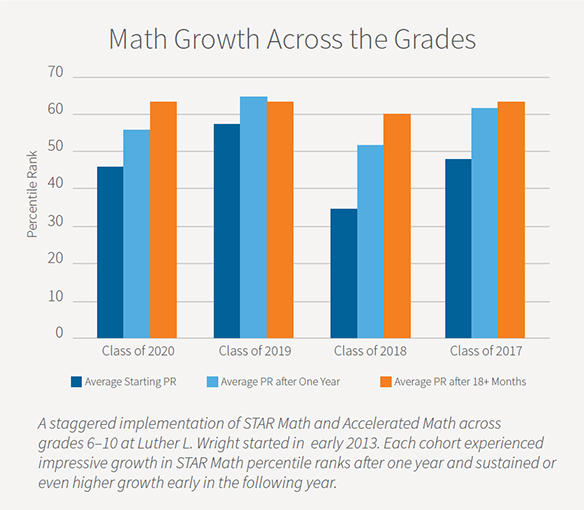 So, when STAR Math assessments were first administered to all seventh-to-ninth-grade students, it was “eye-opening” to discover that many students were functioning below grade level, as many as three to four years below, in some cases. 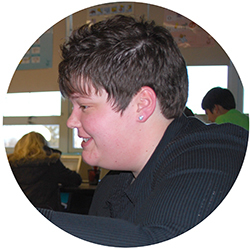 That was an immediate kick-start to Accelerated Math buy-in from teachers, and after seeing significant early success with the program, it was expanded for daily use by every student in grades seven through twelve. Although students initially questioned doing what they perceived as “two math classes”—their regular math instruction plus Accelerated Math practices and objectives mastery—they are quickly realizing that this is a step toward better math performance, and so are their parents. Lyons shares a parent handout that bullets how Accelerated Math benefits students whether they are below, at or near, or above grade level. Aware that its new data resources are a step toward better math instruction, the school has been building data literacy with review and discussion at grade- and department-level meetings, cross-curricular activities, and professional development and professional learning community connections. Data is also shared with the school’s Student Success Team program, designed by volunteer staff to reduce student school tardiness and absenteeism and to encourage student engagement. As a result, there are now many days where every student is doing something different in the classroom—from Accelerated Math practices, exercises, and online tests to regular classroom instruction and review problems. Lyons said students started with completing two or three Accelerated Math practices per week and later shifted to demonstrating mastery of objectives on Accelerated Math practices and tests, the number of which is based on how they scored on STAR Math in relation to their grade level. That practice element means that students are never “done” with their work, another new expectation in L.L. Wright’s evolving culture. Students now always have Accelerated Math to work on or reading to complete, as Accelerated Reader and STAR Reading have also been implemented to assess student instructional reading levels (IRLs) and improve core English instruction in grades seven and eight. Megan Maki, who teaches English and writing at the seventh, eighth, and tenth-grade levels, is seeing noticeable change, too—with students carrying more library books in the hallways and asking for longer reading time than the 10 minutes she allots during English 8 on Wednesdays and Fridays (with 20 minutes and a library visit on Mondays). Last year, Maki saw significant growth in STAR Reading scaled scores for individual students by year-end. This year, the average IRL for her first-hour English 8 students rose from 8.6 in September to 9.8 in January. She shares progress with students immediately between STAR tests and celebrates their successes. Book selection is also critical to boost these students’ motivation and to remove the perception of reading as just an assignment to test on, Maki said, and L.L. Wright buys books that students request on wish lists. Kanipes says the school—along with the Board of Education—has been 100-percent behind the monetary investment in AR, AM, and STAR programs, further bolstered by the gains they are seeing via the data. There are plans to make Accelerated Reader a consistent part of every school day, like Accelerated Math, and to roll out the program to grades nine and ten and support interventions with STAR Reading even through higher grades. Accelerated Reader and Accelerated Math are not at L.L. Wright solely for remediation, but also for continued challenge and college preparation. “I have many upper-level juniors who are doing as much Accelerated Math right now as they possibly can because they know it will help them on the ACT test, and that is very important to them,” Lyons said. L.L. Wright is further using Accelerated Math libraries with pre-calculus, AP calculus, and physics students to reinforce their knowledge and help trigger what they may have forgotten, which they will need again in college. The school’s chemistry teacher is also working with Lyons to incorporate Accelerated Math into her curriculum. The program is even being considered for a summer math program to minimize or eliminate the “summer slide” that has been shown to cause loss of up to two months of math skills. Librarian and media specialist Nancy Hniedziejko (neh-JAY-koh) of Myers Elementary in Pennsylvania briefly stepped away from her fourth-grade remedial students to work with another group. When she returned, she found them giggling and full of commotion. It was all due to their sheer excitement over figuring out, on their own, how to have a virtual, text-based discussion through AR 360. Most of the remedial students in her class have never before been in a leadership role, having long struggled with plowing through books in their entirety. They immediately took to the shorter, engaging AR 360 articles, which connect them to the world around them. They are intrigued by the ability to read, cite, tag, and write thoughts in the text for discussion, and they especially love the power of choosing their own topics of interest. 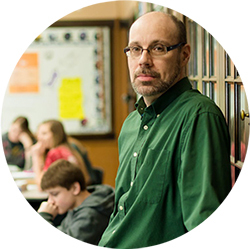 “Gaining a feeling of freedom and control, particularly in reading, is huge for my students,” said Hniedziejko, noting one fourth-grader who had transformed from an angry student to a more confident, eager, and successful learner—showing greater comprehension with higher reading levels of digital nonfiction than previously with his independent reading at lower levels. That includes not just becoming better readers but also leaders for the entire school, running back to their classrooms to share their excitement about AR 360 and even teaching the program to peers and other teachers. Hniedziejko invited each classroom, one at a time, to the library for hands-on AR 360 training. A student from Hniedziejko’s remedial class sat at each table as an ambassador while she walked through program capabilities on the interactive white board. Schmidt said Hniedziejko has been influential in rolling out AR 360 at Myers Elementary, providing all staff with a comprehensive “cheat sheet” reference binder and making herself available as the go-to resource for questions and support. There’s much more ahead, as Hniedziejko hopes to see every classroom embrace AR 360 as a group activity and perhaps even use the program to teach digital citizenship by importing articles found on the web. At Sir William Burrough Primary School in East London, there are conscious efforts to make each day bright for students in Years 1–6 (equivalent to US grades K–5). Students in Year 2 wear a different primary-hued sweater daily so every morning offers a colorful start. All students end their days on a cheery note, singing in the auditorium together. And each morning and afternoon, everyone gets lost in the joy of reading a book for 30 minutes. The decision to dedicate a full hour to daily reading stems from a strong belief in literacy as a foundation to success, combined with the fact that most Sir William Burrough students don’t have the opportunity to read in a quiet, focused environment at home. The school is located in one of East London’s most socioeconomically deprived areas, and these students would be without the luxury of their treasured home libraries if it weren’t for the books they proudly earn as rewards for achieving their Accelerated Reader goals. Some have collected more than 100 books. Wilson and Headteacher Avril Newman say the value of this reading focus is proven in the school’s success. Sir William Burrough consistently produces English and math exam results that equal or exceed national trends—even though more than 75 percent of students have home languages other than English and around 20 percent are in the early stages of learning English at this very ethnically diverse school. Results from England’s 2013 accountability assessments (Statutory Assessment Tests or SATs) show that the school is in the top 10 percent of schools nationally for overall attainment, top 10 percent for demonstrating faster-than-expected growth, and top 10 percent for demonstrating faster-than-expected growth in its disadvantaged students. Sir William Burrough implemented AR and STAR Reading in 1999 to monitor student progress and provide personalized practice to raise and sustain literacy levels. Newman, present from the beginning, has witnessed the positive effects of program and technological advances over the years. It’s easier than ever to get the latest book releases and quizzes so children can read what they’re most excited about, and the program “nearly runs itself” with the addition of iPads for student testing. Reading, says Headteacher Avril Newman, is part of the school’s “You Can Do It” ethos, which centers on persistence, organization, confidence, and getting along. Student persistence comes from reading ever-more-challenging texts and widening their experience with the written word, and confidence comes from their AR achievements and progress. “To be able to read fluently and well is the most freeing thing we can offer any of the children,” Newman said. The ability to drill down to an individual skill and identify an exact area of student struggle is also what Sir William Burrough appreciates about Accelerated Maths (as the product is known in the UK), implemented in 2011. Newman said the program’s high degree of differentiation was initially more challenging to manage. Wilson responded by designing two separate strands—a class-based strand that all children would do at the expected level of the class, and an individualized learning program strand which supported the less able and pushed the more able. As a result, Wilson noted, “We knew more about every child within three weeks of using AM and STAR Maths than we ever did before. In 2013, after two years of working with AM, 98 percent of students attained Level 4, including 100 percent of all EAL (English as an additional language) children. One hundred percent of children achieved two or more levels of progress, which is considered “value-added” or above the average expected rate of growth; more than 50 percent achieved Level 5, and more than 10 percent achieved Level 6—levels which are considered rare because they often demonstrate an understanding two or three years beyond chronological age. STAR Reading and STAR Maths assessments, conducted after each break in the middle of Sir William Burrough’s three terms, provide the main, cross-school data that school leaders monitor. Simply put, they’re looking to see that scaled scores have gone up, and providing necessary support if the scores are down. STAR data helps support school requirements by Ofsted, the UK school quality inspection agency, to monitor progress not just of individuals, but of groups of socioeconomic disadvantage, ethnicity, gender, and more. While children’s overall progress is accountable through STAR, teachers take ownership of class data and make decisions for students. Headteacher Avril Newman says a key to success at Sir William Burrough is to put the right teachers in the classroom, keep the paperwork burden to a minimum, and then get out of the way. 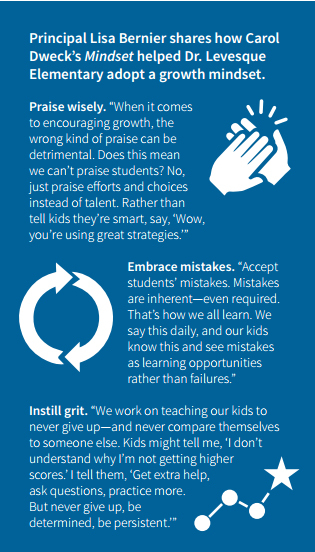 “Not surprisingly, everyone—adults and children—seems to thrive in our culture of high expectations and unconditional hope for their success,” Newman said. The "aha" moment... It's what every teacher, including Michelle Schwendemann, lives for. As a ninth-grade math teacher at Benjamin Carson High School in Detroit, Michigan, Schwendemann is fortunate to frequently see that look of understanding and newfound confidence in her students' eyes. 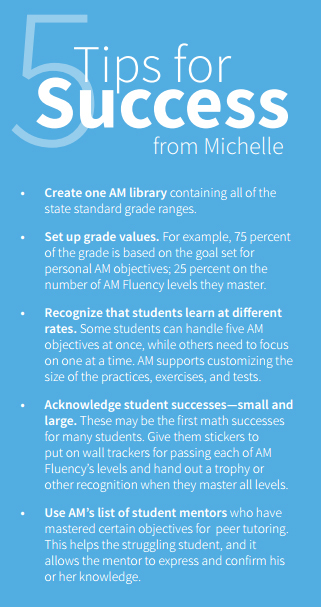 For the majority, using Accelerated Math in her class is one of their first experiences with math success. "AM fits well with our program because so many of our students come to us below grade level and need to receive intense interventions," Schwendemann said. "AM lets them start at their individual levels and move up at a rate that's comfortable for them. It's my experience that as students fill in those gaps in their knowledge, abstract concepts begin making foundational connections and their growth accelerates." This is supported by growth data from Schwendemann's three algebra lab classes last year (see chart), which shows significant first-quarter to fourth-quarter improvements in percentile ranks. This program is used to assess each student's foundational knowledge, create an individualized AM plan for success that incorporates state standards, and monitor progress quarterly for necessary adjustments. Schwendemann, who has used Accelerated Math successfully for 10 years, finds that the program combined with other Renaissance math products help her create a learning environment where students feel safe and thrive in mathematics. 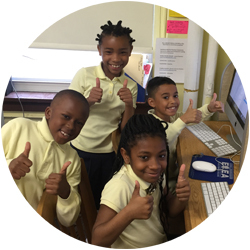 As they file into class, students know to grab their laptops and work on Accelerated Math Fluency (formerly called Math Facts in a Flash) to strengthen basic math facts automaticity needed to support higher-order critical thinking. During this time, Schwendemann conferences with students who need assistance and additional AM practice exercises, then all students work on individualized AM objectives for 70 minutes. While there is structure, there is also a flurry of interactivity that not only engages students in their learning, but also promotes understanding through problem solving. Students adhere to "Three Before Me"—which means they should refer to their lab notes, instructional videos, or a peer mentor before asking Schwendemann for help. They are also encouraged to work in small groups with peers who are tackling the same level of objectives, or perhaps with a student who has had prior success on a certain objective. Benjamin Carson High School currently has 445 students, 95 percent of whom qualify for free or reduced lunch. Schwendemann says AM helps her overcome her number-one challenge as a teacher: to get students to believe in themselves. "Setting up parameters for success in the classroom supports students not only in learning mathematics, but in learning to have faith, patience, and confidence in themselves," Schwendemann said. Data and grit move Maine school's rating from "C" to "A"
This saying is posted in many prominent locations of Dr. Levesque Elementary in Frenchville, Maine. It's a fitting motto for students as they sit down with teachers to discuss STAR Reading and STAR Math reports after monthly assessments. It fits equally well when they bustle off to skill-based "seminars" four times per week to work on counting money, subtracting fractions, or other topics. School-wide, teachers use STAR data to plug students into the appropriate cross-grade seminars, which alternately focus for two weeks on math and two weeks on reading. Things haven't always gone so great for Dr. Levesque. About five years ago, Bernier and her staff were bent on finding the fix for New England Common Assessment Program (NECAP) scores that were not growing—and in fact, were declining, especially in math. They piloted a curriculum-based measure, but Bernier said it was too paper-intensive. They tried a new math series and invested in leveled books for language arts. Regardless of these efforts, Bernier said they just couldn't seem to make big things happen—until they took a closer look at the STAR program they'd used only lightly for nearly a decade. "We weren't using STAR the way it was intended until we started ongoing progress monitoring and tracking about two years ago," Bernier said. "We were guessing for years, but now STAR data gives us a real grasp on how our kids are learning and how to differentiate their instruction. It also proves we're moving in the right direction." Growth is ingrained in the Dr. Levesque culture, along with accountability and student involvement, sparked by Carol Dweck's book, Mindset: The New Psychology of Success, read districtwide. Bernier says the book is all about how to talk to and empower children, which encourages celebrating their mistakes and praising their efforts and choices instead of their intellect. "In our one-on-one STAR conferences, students can directly relate progress to putting in hard work, or a lack of progress to missing school from vacations or not practicing at our study halls," Castonguay said. Supervised study halls are offered to students in grades one through six for after-school support every Tuesday and Thursday, with a late bus provided. Teachers sign up students based on STAR results, or students can refer themselves voluntarily—and sixth-grade teacher Vicki Deschaine is amazed at how many kids do. Even second and third graders are joining study halls by choice. It's a 180-degree transformation from the old STAR days, says Castonguay, who has been at the school for 11 years. In the new STAR days, administration and staff took the time to learn the program top to bottom, seeking webinars and professional training, submitting questions to Renaissance Learning's Live Chat, listening to each other, and ultimately sharing their knowledge with visitors eager to see what has been working so well at Dr. Levesque over the last couple of years. But true to Dweck's principles, Dr. Levesque Elementary is ever-buoyed by a determination for ongoing growth. The school is eager to extend data-tracking to kindergartners and gain even more capabilities through the implementation of STAR 360, already budgeted for next year. 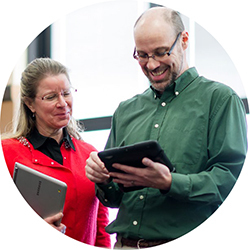 The Extraordinary Educators Newsletter is free for educators who use Renaissance Learning products. To subscribe, first create an account by clicking the Subscribe button below. Then, select the way you wish to receive the newsletter.